White Wave Press, 9780997909838, 38pp. Written in the poetic form of haiku and illustrated in watercolors, this exciting tale invites you again to come adventuring with budding naturalist Piratess Tilly, captain of research ship Foster. 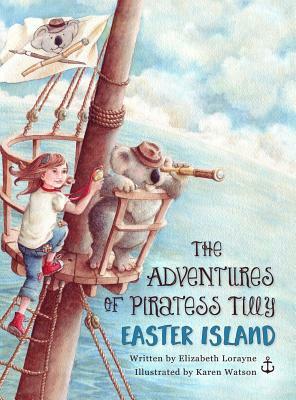 Yuki, her rescued koala friend, and her crew of orphaned international boys are on their way to the most remote island in the world, Easter Island (Rapa Nui), where Piratess Tilly will dive to study the local fish. While exploring the mysterious monolithic statues and ruins, they happen upon a smuggling of sooty tern eggs by pirates Can Piratess Tilly, Yuki and the brothers safely save the eggs?